Most people wonder if you can live happily in Mexico without speaking Spanish. Since I sell a book of curated tools to help you learn Spanish in a way that won’t leave you numb, you probably think this is a trick question. The truth is that you can live very happily in Mexico without Spanish, or at least very little, enough to operate day to day, navigating restuarants, public transportation and shopping. I’d calculate that most retired expats in Mexico don’t speak the language conversationally. Usually they don't want to assimilate into the culture in a traditional sense although they assimilate in other ways; by volunteering or organizing fund-raisers for local Mexican charities and causes. They find ways to contribute. I have younger friends in Mexico who have children with English-speaking Mexican husbands who also have never learned beyond the basics. Life in Mexico is undeniably less frustrating, cheaper and socially richer if you’re conversant. This I know first-hand from comparing my very first visit, when I hardly spoke any of the language, to my experiences after committing myself to it for a few years (post-50 BTW). Expats don’t learn Spanish for obvious reasons. They think they’re too old to get started. They have other hobbies they enjoy more. Studying is too boring. They tried to learn many times and found it too frustrating or weren’t making the progress they thought they should. I have a friend that always invites me hiking. I know the exercise and the fresh air would be good for me and I’d love meeting a few new people. In spite of these and a host of other substantial good reasons, I just don' wanna (the same way I just don' wanna give up Girl Scout thin mints). I imagine that’s how most people feel about learning Spanish. For this post at least, I am not going to try to convince you otherwise. Any place you’re considering retiring or moving to in Mexico probably has a reasonably large expat community. The mutual bond of being an expat, while often times making for strange bedfellows, makes friendships easy to make. It’s perfectly natural to approach strangers simply by virtue of your shared status, far less awkward than at home. For all the disparaging things you hear about “gringo gulches,” enclaves and gated communities where expats who don’t speak the language often live, many expats are very content, ecstatic in fact, living in them. Being happy is what matters, not what other people think. Just like neighbors who live in American suburbs and rarely find the need to go into the anchor city, pot luck dinners and happy hours, socializing with expat neighbors and supporting one another in times of illness or trouble is the order of the day in tight expat communities. When you arrive to Mexico, if you don't speak any Spanish you will need to practice a little forethought. Find the English speaking doctors as soon as you arrive; don’t wait until you need one. Find out which hospitals/emergency rooms will most likely have English-speaking staff or serve tourist areas. When traveling by car, make sure to take a pocket dictionary in case of a breakdown. You will also need a few bilingual friends who can help you with phone calls to the electric, cable and telephone companies. Even when you speak good Spanish, phone conversations are more of a challenge in a second language. Mexicans are very tolerant of non-Spanish speaking expats. In most cases, the Mexicans you meet when you don't speak Spanish at all will be in service industries that rely upon, at least desire expat clients. Restaurant and bar staff, shop keepers, house-keepers, tour operators, property management personnel, some plumbers and electricians will largely be used to communicating with non-Spanish speaking clients. Along the same lines, many Mexicans fool you into thinking they speak English well when they only speak it well within the context of their business and topics that come up in relation to it. Be aware that they want to make you happy and hate conflict so they will often try to guess what you want when they don’t understand. As long as you’re as kind and patient as they are, you will be rewarded. The websites Linguee and Google Translate can help you translate entire phrases before a service call. Gratitude really helps too. Many Mexicans actually prefer practicing their English to your speaking Spanish. Several times I have found myself in conversations where a Mexican is speaking English and I’m speaking Spanish. We’re both trying to improve our second language and find ourselves at an impasse, neither one of us willing to give up our ground. We must look ridiculous to bystanders too, stubbornly plowing along in a linguistic wrestling match until stumbling upon a topic where the one with the stronger grasp of the second language does a take-down. When you speak only English, you avoid this competitive situation completely. I will offer a few tips however from observing non-Spanish speakers, mistakes I’ve made myself. First, don’t raise your voice. There is some type of cognitive dissonance that makes us think if we speak louder, they will understand us better. No idea why. My Mexican friends learning English never do this. From that we might assume, it’s a cultural dominance issue. Somewhat related to talking loudly when someone can’t understand you is the common sight of seeing a passenger yelling in English across the aisles or to someone in front or behind them while taking public transportation (Pssst, they can still hear you). This is the social equivalent of talking on your cellphone in a public place. My Spanish friends comfort me by saying Italians are just as bad as Americans are. What a relief! As you’re speaking in English to someone who doesn't, speak slowly and clearly. That will allow your listener to more easily pick up the cognates - the nouns and verbs that are very similar in both English and Spanish. As the cognates accumulate, eventually you will get your point across. Think of the context that you are hearing or reading the phrase in and you will likely be able to guess the basic meaning of what has been written or said. Thousands of people live happily in Spanish-speaking countries without Spanish. If you don’t speak any Spanish at all, you might pay more. You will need to find service providers who speak English, and sometimes they charge more. There are ways to address that too. For those instances, having an English-speaking Mexican friend who can tell you want you should pay, some survival Spanish and that pocket Spanish dictionary are highly recommended for even the most linguistically challenged. Mexico is a country of soft voices and meaningful glances. You will come to love that. If you can just match their tone and the general graciousness they exhibit in their communication style, you can still go far in Mexico. Next Up: The why and how on including cooking websites and information on Mexican healthcare in the same blog. Most recent: On the practical matter of testing for particle matter in your water in Mexico. 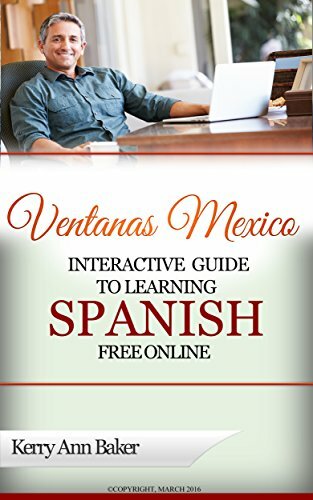 Kerry Baker is the author of the "Interactive Guide to Learning Spanish Free Online,' a book of online tools curated into lesson plans, along with tips on learning the language as a potential expat. Use the completely interactive resource to go straight to the best tools. Use its lesson plans or create an unique lesson plan yourself every day. Use it with your laptop, e-reader or tablet. 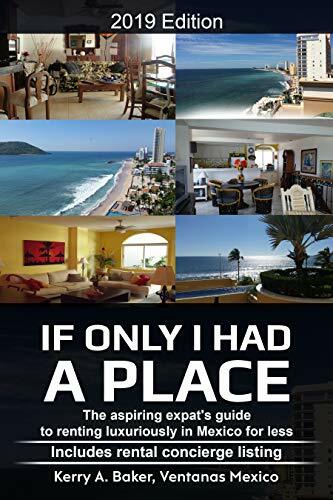 "If Only I Had a Place" is her book on renting luxuriously in Mexico for less, year after year and written specifically for the aspiring expat. Renting well every year is part of developing your social infrastructure and this book offers a system. It also contains a listing of rental concierges to look at places before you sign the dotted line.